The Lady Vols led ETSU 1 set to 0, then 2 sets to 1, and finally 7-0 in the fifth set. 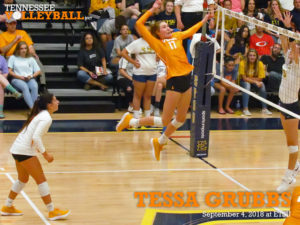 But the Buccaneers rallied back each time finally earning a hard fought win over UT (21-25, 25-15, 20-25, 25-19, 15-12). More tomorrow. 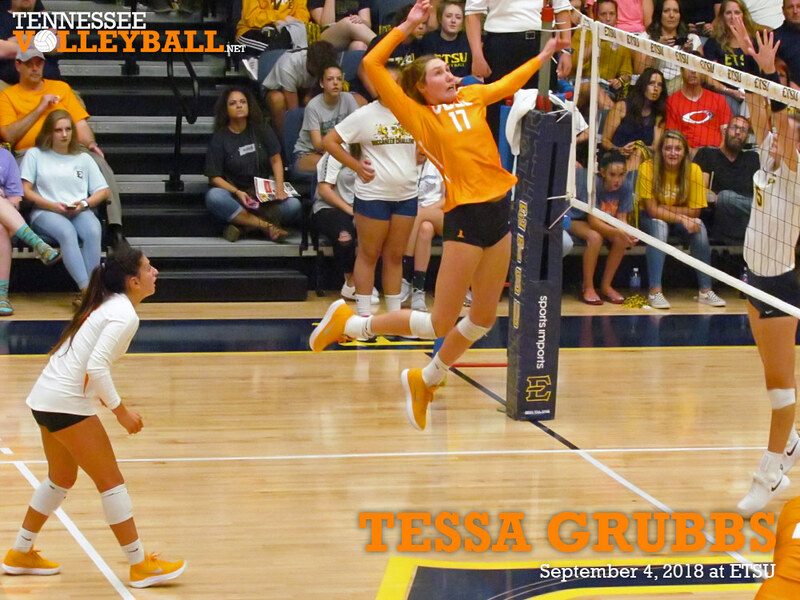 UPDATE: Tessa Grubbs carried the Tennessee offense with a career high 25 kills — the only player on the team with double digits. Her performance also ranks as the 58th most kills in a match all time at UT. Madison Coulter and Erica Treiber had 8 kills. Addisyn Rowe had 7 while hitting .600. Treiber had 9 blocks and Danielle Mahaffey added 7 more. Brooke Schumacher dug up 23 attacks. Callie Williams had 28 assists. Sedona Hansen picked up career double-double #35 with 23 assists and 14 digs. That moves her in to 5th place in rally-scoring era double-doubles. ETSU has now won two matches in a row over the Lady Vols for the first time since 1975. Going back to last season, UT has now lost the last 4 five-set matches they’ve played. This was just the 4th loss to a fellow state school the team has had in the past 20 years.